When pandemics, chemical spills, and bio-warfare attacks occur cities must respond quickly to mitigate loss of life. Which interventions should be used? How can we assess intervention policies for novel and low frequency events? Reasoning about such events is difficult for people due to the high level of complexity and the multitude of interacting factors. Computational models, however, are a particularly useful tool for reasoning about complex systems. In this paper, we describe a multi-agent dynamic-network model and demonstrate its use for policy assessment. BioWar is a city-level multi-agent dynamic-network model of the impact of epidemiological events on a city’s population. Herein, we describe BioWar and then use it to examine the impact of school closures and quarantine on the spread and impact of pandemic influenza. 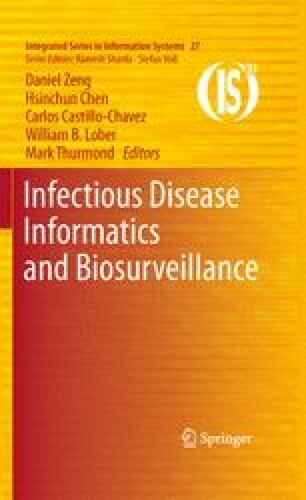 Key aspects of the model include utilization of census data to set population characteristics, imputed social networks among agents, and flexible disease modeling at the symptom level. This research demonstrates that high-fidelity models can be effectively used to assess policies. Perkins, B.A., Popovic, T., and Yeskey, K. (eds.) (2002). “Bioterrorism-Related Anthrax,” Emerging Infectious Diseases, 8(10) (special edition). http://www.cdc.gov/ncidod/EID/vol8no10/contents_v8n10.htm, Retrieved: 3/2008. U.S. Census Bureau (2008). Metropolitan and Micropolitan Statistical Areas. http://www.census.gov/population/www/estimates/metroarea.html, Retrieved: 3/2008. U.S. Census Bureau (1994). Geographic Areas Reference Manual, Available: http://www.census.gov/geo/www/garm.html, Retrieved: 3/2008.